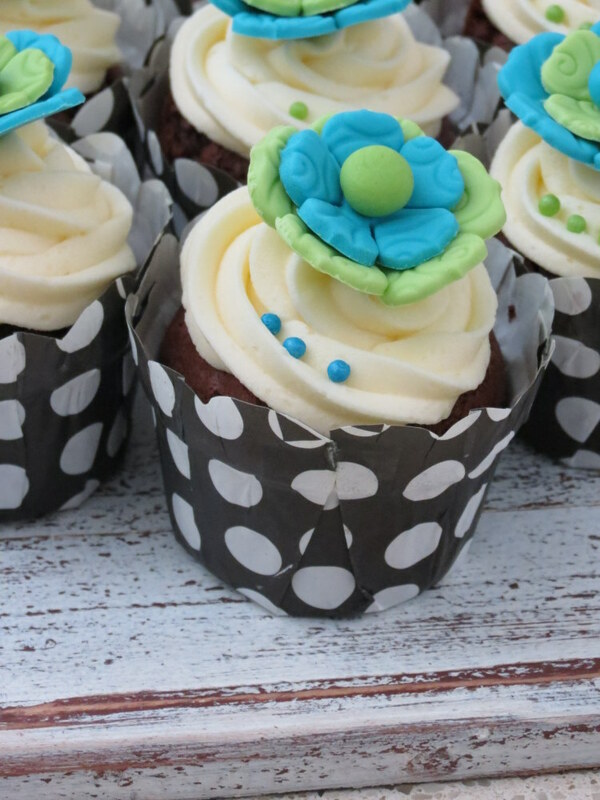 With all the house and kitchen alterations last year, my baking continued but my blogging was erratic and not all my cupcakes ended up in individual posts. 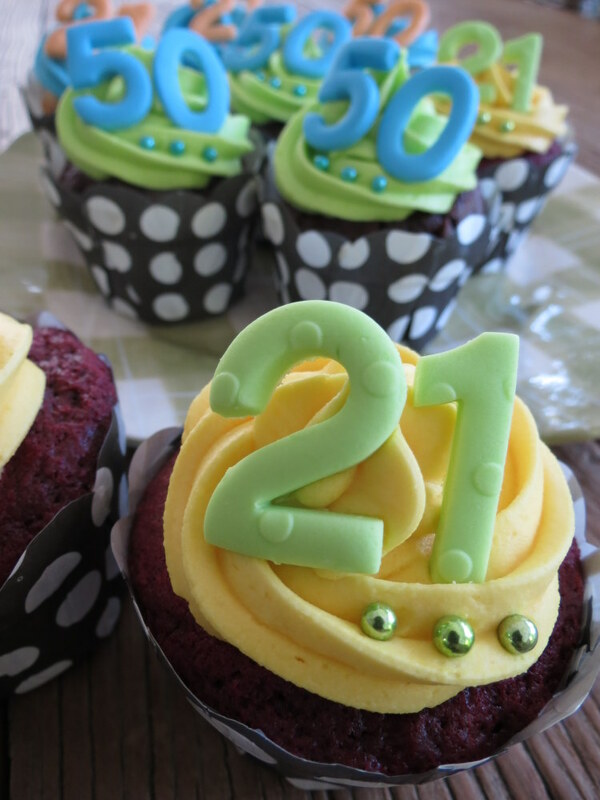 These are some of the cupcakes from last year I made inspired by family and friends for different occasions. Thanks to my wonderful husband we now have a beautiful new home and I have a magnificent new kitchen in which to create beautiful cupcakes and sugar art to delight all my customers. Catherine, you kindly and selflessly loaned us your beautiful home and kitchen for us to continue our lives in while we were out of our own home so thanks to you I was still able to bake and take orders. Ceire’s birthday fell in October just before we moved back home so she had very simple but pretty Green Flower cupcakes to celebrate her birthday. 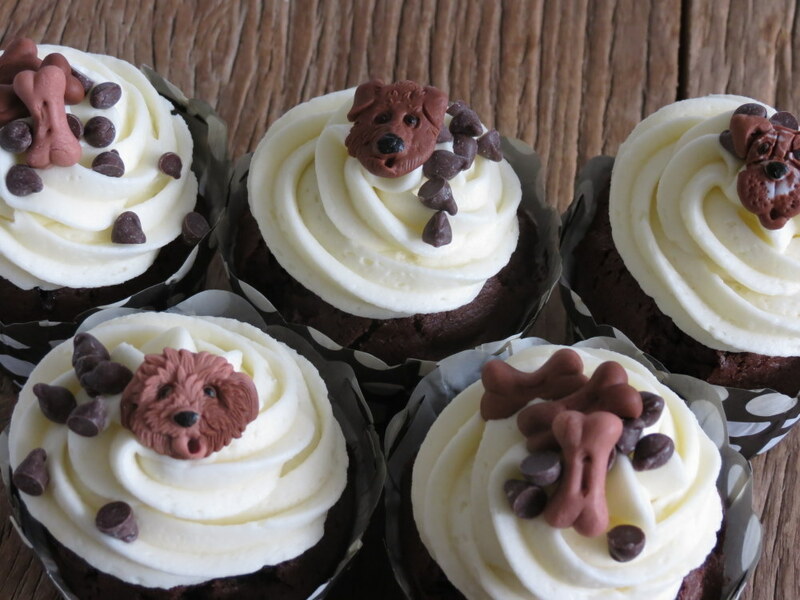 Barking up the right tree with these cupcakes…. Other cool orders were for these really cute dog cupcakes celebrating the 1st birthday of a special guide dog and these 50th and 21st combined birthday celebration cupcakes. Happy Birthday Gary & Matthew! 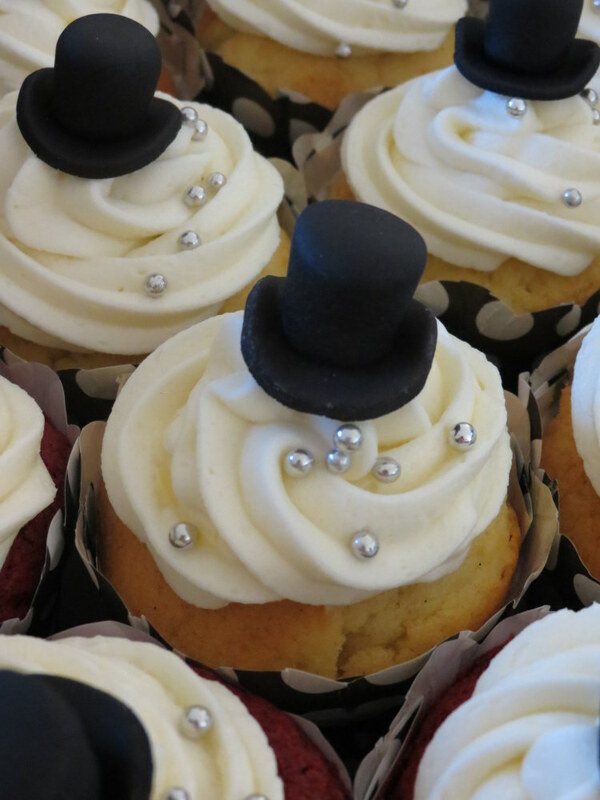 Hats and shoes were the order of the day for these Red and Black Mad Hatter Cupcakes, Top Hat Cupcakes and Pink and Peach Cupcakes for a lover of fashion. 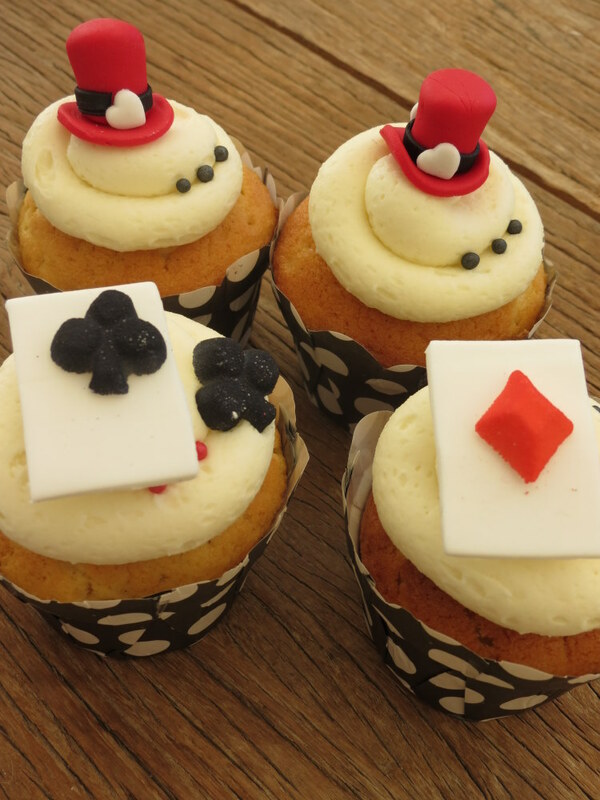 Mad Hatter Cupcakes in Red & Black! Top of the morning to you Willem! Thank you to all my amazing clients of 2013. 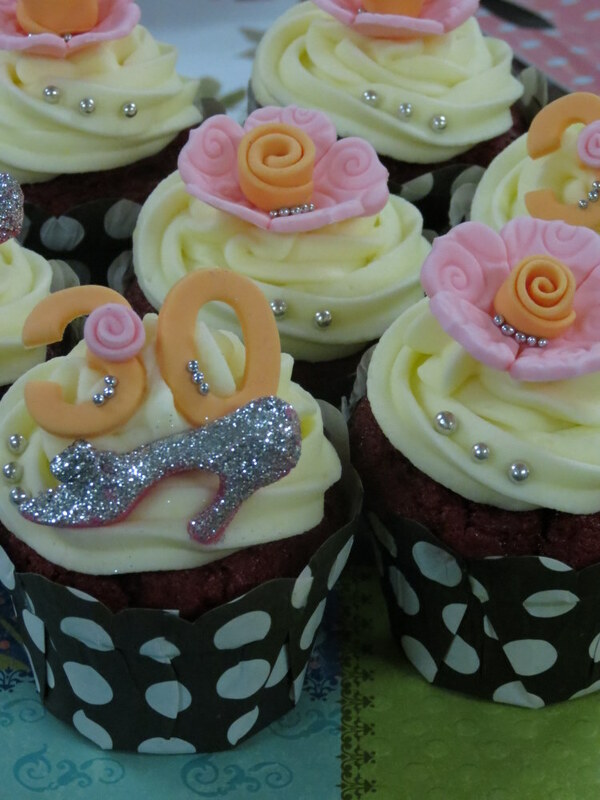 It is because I am inspired by your celebrations, ideas, personalities and enthusiasm for my cupcakes that I have so much fun creating these different cupcakes for you all. I am looking forward to a fantastic 2014 which has started on a wonderfully busy note and promises to be just as sweet a year as 2013 was. 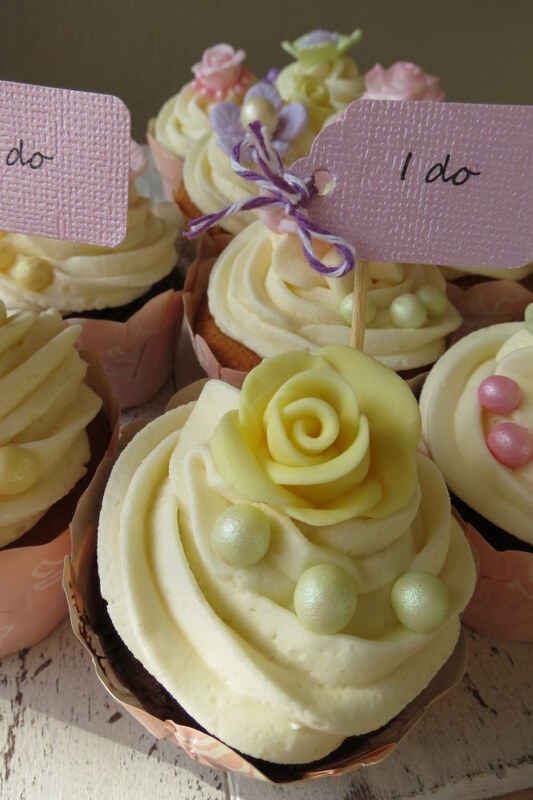 “I Do” love making cupcakes…. beautiful – every last one!! 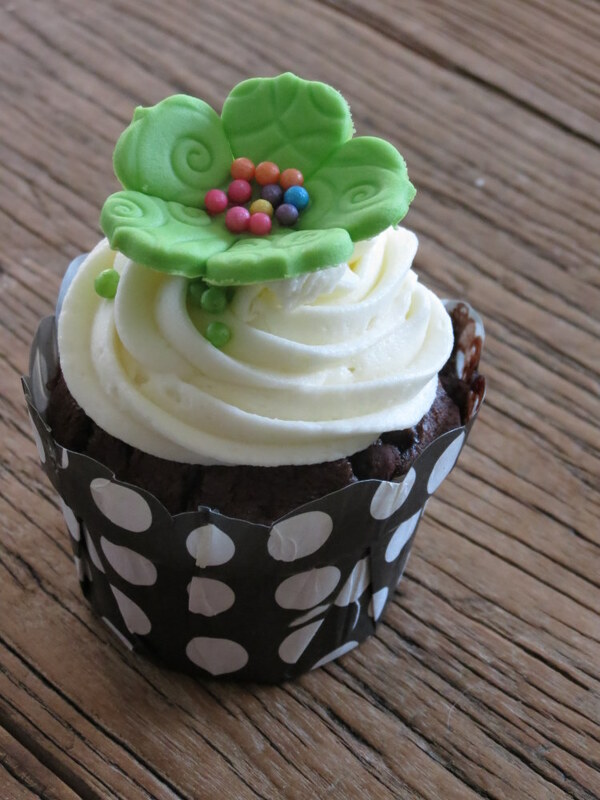 Thanks and finally got round to blogging more of last year’s cupcakes!